TimLybarger.com: Day 36: Frozen Sliders, FaceTime Fireworks, America! Day 36: Frozen Sliders, FaceTime Fireworks, America! Charlotte was still stick today so she and I celebrated the Fourth of July on our own at home while the others went swimming at my in-laws and took in the fireworks after dark. Of course, Charlotte was none too thrilled by this but we made the most of our daddy-daughter Independence Day. For her birthday in the spring, Charlotte received a puzzle as a gift from one of her friends. It's one of those 3D puzzles and that combined with the bright colors on every piece was enough to make us both a little queasy -- but we trudged along nonetheless as we watched a few episodes of Good Luck Charlie (our kids current favorite). Since Charlotte's appetite has been next to non-existent while she's been sick, I was on my own for lunch and opted for what any true red-blooded American would eat on the Fourth of July -- a box of frozen sliders. 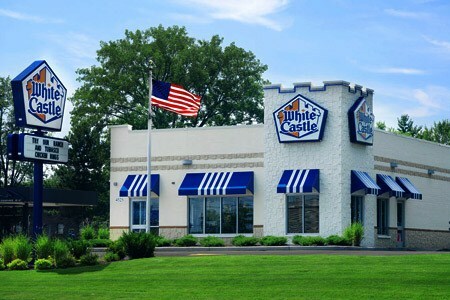 As a lover of all things White Castle, but with the closest one being 90 minutes away, a few times a year I'll buy these out of the freezer in hopes that they will satisfy my craving. Unfortunately, the microwave always leaves the burger cold and the bun crusty. Today I decided to try Plan B by following the stove-top directions for steaming my sliders. Any luck? A little. The buns were perfect but the burgers were still a little cold and needed a few seconds in the microwave. Had I steamed them a little longer, I'd say they'd have been about as close to the real thing as I'm going to find. With a stomach full of White Castle, my body gave me no choice but to follow Charlotte's lead after lunch by taking a nap. As the sun started to set, Charlotte was pretty upset that she couldn't join the others for the fireworks and this is where my dad-senses kicked in. Capitalizing on the kids' recent love of tents, we started by pitching one in the backyard. This alone was enough to brighten her spirits as "nobody else gets to be in a tent tonight" (nobody else, of course, referring to Anna and Mason). Yep. Clear glasses. Total game changer. I know. After a game of Memory played under the day's final few minutes of sunlight (Charlotte won 12-9), we kicked back to take in the fireworks display ... via FaceTime with Amy. Hey. You gotta make due with what you've got ... and that we did. Luckily we had several people in our neighborhood shooting off their own fireworks so Charlotte got a see a few go off over our back yard. Shifting gears completely, I love conspiracy theories. While some theories are believable and spark a sense of intrigue within me, others are so far-fetched that their ridiculous nature is enough for some quality entertainment. 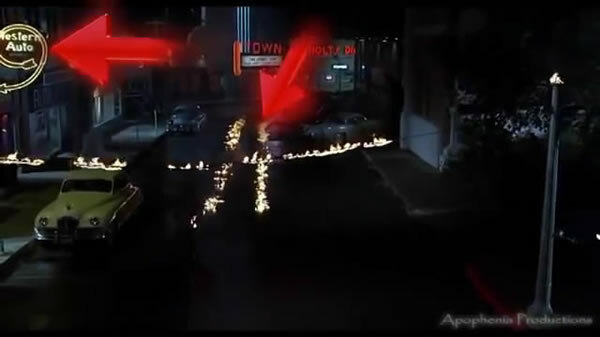 Back to the Future fans recently celebrated the 30th anniversary of the film's release and through a string of YouTube clicks, the details of which I will spare you, I came across a video detailing a belief that the events of September 11, 2001 were predicted in the BTTF trilogy. With all of this in mind, here's fifteen minutes of quality entertainment. Enjoy.